On a recent Thursday morning in Cambridge, Mass., Alessandro Babini straps his company’s palm-size wearable device onto his arm. He’s the cofounder of a startup called Humon, which makes a next-generation fitness gadget. It monitors how well a user’s muscles are processing oxygen and then relays that information to an iPhone screen, which indicates whether the user can safely push a workout harder or should stop and recover. Although the product has been tested with Olympians, Babini sees the technology having applications beyond professional sports -- helping improve health for the masses, as well as fostering a deeper understanding of how the body works. “It seems crazy,” he says, “that people know more about the car they drive than about the body they put behind the steering wheel.” That’s typical entrepreneur-speak, of course: outrage at a problem that simply must be solved. And Babini -- who is tall, with dark stubble and clad in the startup uniform of a plaid button-down and jeans -- is in many ways the model entrepreneur. He quit a safe, lucrative job at a venture capital firm and shelled out $100,000 of his own money to obtain an MBA at MIT. He also says that he didn’t take a salary for Humon’s first year. And now he has a staff of four, along with several part-timers. He regularly moderates panels in the startup community and volunteers his time to help and advise other entrepreneurs. But in addition to the usual stresses of launching a new company -- hiring, fund-raising, finding workspace, creating prototypes, dealing with investors -- Babini faces a graver concern: deportation. Babini is a French citizen, born in Paris to a French mother and an Italian-Lebanese father. That venture capital firm he quit was in London. Since coming to America, he has patched together a life on American visas that may be more complicated than the software in his wearable device. The visa that let him spend one postgraduate year in the United States has run out. Now the fate of his company, and the jobs it created for Americans, remains maddeningly uncertain. The irony is not lost on him. At the risk of stating the painfully obvious, immigration is a deeply divisive political subject in America today. Typically, if a politician makes immigration an issue, it’s because of the belief that immigrants are taking jobs from Americans. But Babini represents something else entirely -- something that no presidential candidate was harping on, that no voters were rallying about and that no Fox News or MSNBC pundit filled airtime railing against. It’s something that members of both parties have agreed needs to be fixed, and that has nothing to do with the Mexican border, but that has nonetheless become lost in our nationwide debate about immigration. Babini did not come to America to fill a job. He came to create jobs. He’s an immigrant entrepreneur. America has an untold number of them, who launch startups they may one day be deported away from. Some entrepreneurs are sent home and then run their U.S.-based companies from abroad. Others pack it up and relocate to somewhere more welcoming. And some, like Babini, hang on as long as they can, hoping America will create a solution. He’d like to apply for an entrepreneurship visa. It currently doesn’t exist. Immigration law is built on categories. For a high-skilled immigrant to come work here, they generally must fit into one of three main categories. The first, straight out of the ’90s: immigrants who come to America to work for large, established companies. They do so with what’s called an H-1B visa, and an employer must pay several thousand dollars to “sponsor” the immigrant, making it impractical for most startups. It’s also capped; only 85,000 people get an H-1B per year, and in 2015, 233,000 people applied. The second category: students. Visas allow for educational opportunities and often have a one-year extension that allows for graduates to work. And the third: people whom the U.S. government deems “individuals with extraordinary ability or achievement.” Only a handful of those are given out every year. But if an immigrant student graduates and launches a business, or an immigrant gets an H-1B to work at Google and then leaves to launch a startup, there’s no category for them to fit into. And then they’re out of luck. This impacts a wide swath of America’s startup economy. About 10 percent of American workers are employed by private, immigrant-owned firms, according to New American Economy, a bipartisan group that studies the role immigrants play in the U.S. economy. About one-fourth of the engineering and technology companies started in the U.S. between 2006 and 2012 had at least one key founder who was an immigrant, according to the Kauffman Foundation, a research group that advocates for entrepreneurial policy. Immigrants to the U.S. are nearly twice as likely to start businesses than native-born Americans, the group found, and more than half of privately held American companies worth $1 billion or more (so-called unicorns) had at least one immigrant cofounder. Tesla and SpaceX founder Elon Musk, Uber cofounder Garrett Camp and serial entrepreneur (most recently a Moderna Therapeutics cofounder) Noubar Afeyan represent just a handful of foreign-born entrepreneurs who have contributed greatly to America’s economy and culture of enterprise and innovation. Perhaps for that reason, several economic titans have been bringing their clout to bear upon the government to revise the policies. Representatives with the U.S. Chamber of Commerce, Microsoft, Facebook, Dropbox, AOL, Airbnb, IAC, Netflix, Qualcomm, Yahoo and Google, among others, have all argued over the years for creating an entrepreneur visa. And in August 2016, the Obama administration put forward a proposal for a startup visa that would establish “clear criteria to identify on a case-by-case basis entrepreneurs who would provide significant public benefit to the United States.” The government would review factors including an entrepreneur’s ownership stake and leadership role, the growth potential of the startup, competitive research grants and investments from qualified U.S.-based investors. Under the proposal, entrepreneurs could stay in the U.S. for two years, plus one additional period of up to three years, contingent on particular benchmarks being met. After those three years, entrepreneurs could have an option of renewal for three more years. Prior to the election, there had been “a good amount of support on both sides of the political aisle,” says Jason Wiens, Kauffman’s policy director. “Many Republicans and Democrats support allowing some immigrant entrepreneurs to grow their companies.” But the election of Donald Trump and the attendant focus on illegal immigration has complicated matters. “My reading is it’s just been caught up in the politics of larger immigration issues,” Wiens says. “No bipartisan proposal has really gotten any traction, let alone come close to passing.” A Trump spokesman did not respond to multiple requests for comment. While washington struggles to set a policy for immigrant entrepreneurs, other countries are snapping up talent from the United States. In 2013, the Canadian government put up a billboard along Highway 101, the artery that links San Francisco with Silicon Valley, bearing a red maple leaf and a pitch: “H-1B Problems? Pivot to Canada.” And several countries, including Australia, Brazil, Chile, Ireland, Singapore, South Korea, Spain and the United Kingdom, have created visas targeting entrepreneurs. Those countries can make attractive offers. The government of Chile, for example, launched an accelerator called Start-Up Chile, which provides funding of up to $90,000 to more than 200 companies a year. It says that more than 50 countries have since followed its lead. “Our focus is to accelerate early-stage startups that want to use Chile as an asset to scale from Latin America and to the world,” the organization explains. And that pitch -- a welcoming environment plus money and resources -- can be attractive, especially to entrepreneurs who’d rather stop living in fear of deportation. employees had to be scattered around the globe, forcing business meetings to be held via Skype at all hours of the night; and because Ketchell was the only company executive who was reliably in the U.S., he had to schedule and take every investor meeting by himself. Hanlin Hong tells a similar story. He came to the United States from Anhui Province, near Shanghai, China, in September 2011. 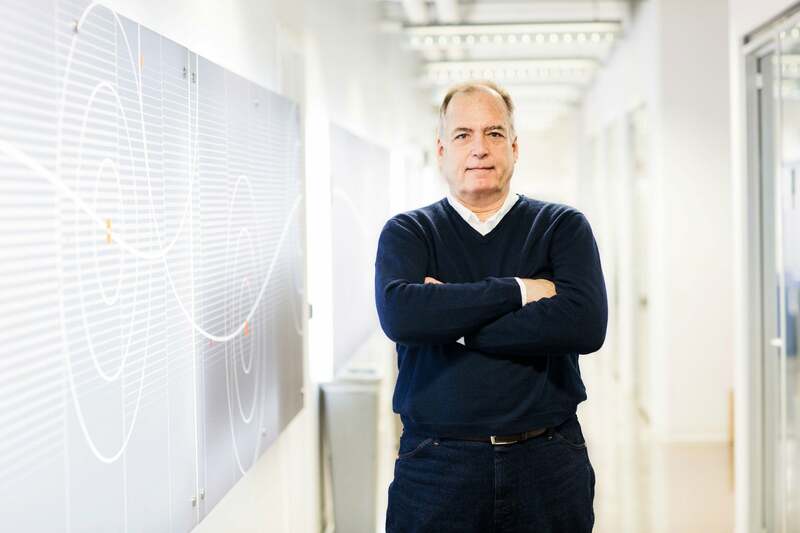 As he earned a master’s degree at Worcester Polytechnic Institute and then a Ph.D. at MIT, he developed an interest in humanlike robots and artificial intelligence. And then he followed a typical MIT graduate student’s path. He launched a robotics company called Tech-No-Logic in Massachusetts in 2013 and, two years later, pulled in his first several-hundred-thousand-dollar investment. Hong’s company began developing a robot that could dwell inside a home and help complete everyday tasks like cooking and cleaning. But once his student visa ran out, he could find no other way to stay in the country. He applied for an H-1B visa and was denied. So in January 2016, he moved his company back home to China. If there is a nonpolicy solution to any of this, it may look a lot like a glass-filled terrarium in Boston, with windows that face directly out onto the Boston Harbor. This is the Venture Development Center at the University of Massachusetts, Boston, and it’s designed like a lot of academic facilities. It has 18,000 square feet of open-office workspaces, equipment-packed laboratories, and a café full of mingling students. But this place’s tagline is “We power global entrepreneurs,” and its role is to exploit an immigration-policy loophole. The idea came from a group of VCs, local executives, and William Brah, who had been working as a UMass assistant vice provost. He’d spent decades conducting economic development for the school system, and he noticed a recurring theme from investors. They were tired of dumping money into companies whose key executives would get deported, but they also hated to pass on promising investment opportunities just because those executives weren’t citizens. It was a conundrum nobody in the industry could solve. In 2015, the Venture Development Center was born to do just that. It’s an incubator for immigrant entrepreneurs that allows them to stay in the U.S. for up to three years, provided they teach weekly at the school. UMass does cap the number of attendees at 15, but that’s based on how many people it can accommodate, not on any law. “These are some of the best and brightest on the planet,” Brah says. “And they want to give back, they want to lecture in class, they want to manage student projects, they want to train interns. You have to make the argument that these folks are furthering the mission of the university.” He has also been in talks with other universities about pursuing similar programs. None of these efforts are permanent fixes, but they at least offer immigrant entrepreneurs some stability -- which they couldn’t find before. And the UMass program was exactly the lifeline Alessandro Babini needed. Last spring, Babini’s wearable-tech company raised $1 million in a seed round. But his visa was due to end on August 1. Two months before the expiration date, he found out that his application for an H-1B visa through the lottery was denied. (He’d tried to sponsor himself through his own company.) He would be required to leave the country in 60 days. August “was the worst month of my life,” Babini says. “It felt like getting dumped.” He had told his investors that immigration was not going to be a problem but now had to send a stomach-churning email saying he risked being sent home. He wrote to Senator Elizabeth Warren (whose representatives said they could submit a letter to aid in the appeal and continue to push for legislation), and he had to temporarily relinquish his title as Humon’s CEO, fearful of his looming deportation. The Venture Development Center is enabling him to do that. It accepted him into the program, and, after Babini spent $18,000 in legal fees to obtain an H-1B visa through the school, he’s now allowed to stay in the U.S. as an employee of UMass. While he’s grateful for the resolution, it’s still a Band-Aid, and a costly one. He is compiling an application for the visa for “individuals with extraordinary ability or achievement” and plans to submit it in March. This summer Humon’s device will be available to the consumer market, and he’ll engage in a second round of funding.